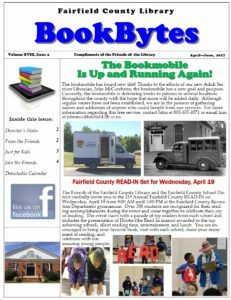 BookBytes, the library’s newsletter, is published quarterly and provided courtesy of the Friends of the Library. BookBytes is posted in Adobe Acrobat format. If you don’t have the free Acrobat Reader plugin, you can download it from the Acrobat website.